Becoming a starting quarterback in the NFL is one of the most difficult achievements in the sports world. On a yearly basis, there are only 32 opportunities and most of those jobs are filled by seasoned veterans with binding contracts locking them in as the team’s starter. So when it comes to rookie quarterbacks, we are looking for players that could get the opportunity to make an immediate impact. 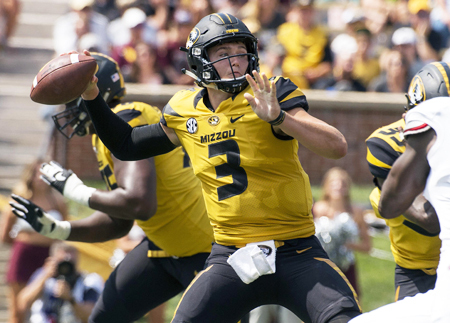 For me, Drew Lock is one of the quarterbacks in this class that will be starting before the end of the 2019 season. Consistently in the top five on NFL draft analysts quarterback rankings, he has a real possibility of being drafted in the first round. 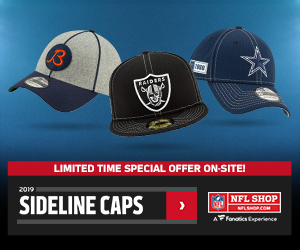 And throughout the rookie process, he has been able to impress NFL coaching staffs with his big arm and the ability to make all the throws necessary to become an NFL starter. While analyzing tape on Lock, he regularly put his arm talent on display by launching it downfield to his receivers for easy touchdowns. And although that lead to some turnover issues in his Sophmore and Junior seasons, he was able to clean it up during his Senior season by only having eight interceptions. Another thing I noticed while watching Lock play was his ability to get out of the pocket and use his legs to extend the play. He isn’t as athletic as other quarterbacks we’ve seen in recent years but he is more than capable of using his legs to pick up extra yardage when necessary which he was able to prove by scrambling into the endzone six times during the 2018 season. Simply put, he looks like a pro-ready quarterback headed into the 2019 draft. During his 2017 Sophmore campaign, Lock broke the SEC single-season passing touchdown record by throwing for 44 touchdowns. That is 8 more touchdowns than future hall of fame quarterback Peyton Manning had in his best season at Tennessee. He may not be a hall of fame quarterback when it is all said and done but what he showed in the SEC was his ability to make big plays against high-end talent. Which he will need to bring with him to the NFL if he has any chance of making it as a starter. If he could bring that kind of touchdown production to the NFL, he’d be an elite level option. Lock didn’t show elite athleticism at the combine but what he did show was enough athleticism to compete at the next level. He profiles as a prototypical pocket passer with just enough athletic ability to help him extend the play when necessary. But without a doubt, it is his big arm that NFL defenses will be scared of rather than his rushing ability. I think throughout the entire rookie process he has taken advantage of every opportunity to show who he is as a player. From the Senior Bowl to the NFL Combine and even on his Pro Day he did everything he could to prove his arm talent and make a good impression. He didn’t hesitate to make all the throws in an attempt to prove himself and it paid off. Jordan Palmer described him as a “baller” when asked what he thought of Locks talent. And some even described him as a talent similar to Jay Cutler without the personality concerns. This only strengthens my opinion that he will be one of the top quarterbacks taken off the board during the 2019 draft. I believe Lock has a bigger arm than most of the quarterbacks in this class which gives him the advantage for teams that are looking for a pro-style quarterback. His prototypical size is also an advantage for those teams looking for a traditional pocket passer. He can read the field quickly and his sudden release allows him to connect with open targets regularly. Also, he is able to avoid sacks with his mobility in the pocket and can extend the play long enough for receivers to get open. His weaknesses come in the form of inconsistencies with his touch on the ball and deep ball accuracy. Although he has plenty of arm to get the ball where it needs to be, I regularly saw receivers having to stop and adjust to Lock’s ball placement. He would consistently throw behind his receivers causing balls to be uncatchable. And lastly, he struggled during the big games in his Senior season having multiple turnovers against Alabama and Georgia. Heavy pressure caused him to make questionable decisions and throw some ugly passes. For Lock to succeed in the NFL I think he will need to be matched up with a good offensive coordinator and quarterbacks coach to help him overcome his issues with ball placement. If he can clean up his game and add some accuracy to his arm talent he could be a great starter in the NFL. For Lock to succeed he needs to be in a more traditional pocket passer role. He wouldn’t fit well in a scheme that depends on the quarterback to consistently be mobile and due to his past issues with turnovers when under pressure he needs to have some underneath options for quick releases. Luckily for him, there are a few teams that I think will be looking for a similar type of player in the draft. After trading Ryan Tannehill to the Tennessee Titans, the Dolphins chose to go out and obtain veteran journeyman Ryan Fitzpatrick as their 2019 starter. But as we have seen over Fitzpatrick’s career, he isn’t going to be the long term answer for Miami at quarterback. 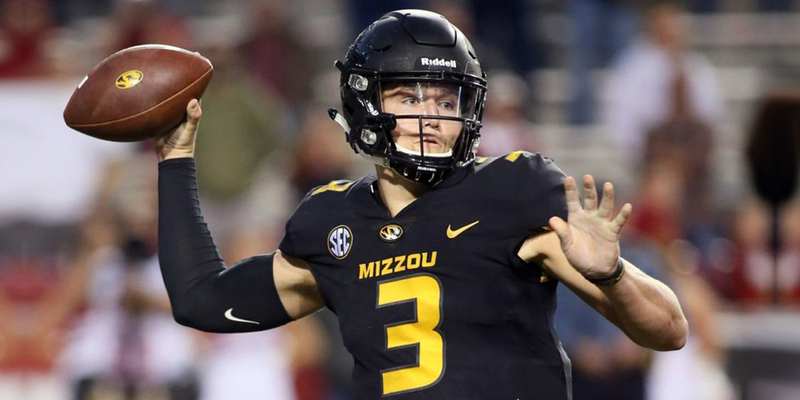 I think Drew Lock would be a perfect fit for a team that offensive coordinator Chad O’Shea said will be similar to what we’ve seen from the Patriots in recent years. Although the Patriots do strike deep at times they utilize the middle of the field for shorter passes on a more regular basis. This could be a perfect scheme for Lock considering the trouble he has had with deep ball placement. Once he has drawn in defense with shorter crossing routes they could strike deep with his big arm. A perfect balance for a young quarterback looking to get established in the league. The Giants will eventually be forced to find a replacement for Eli Manning who has seen steady regression in recent seasons. And although they traded away their superstar receiver Odell Beckham Junior, I believe the Giants are built perfectly for a young quarterback to step in and take over the reins. With Saquon Barkley in the backfield, the pressure would be taken off of any young quarterback to carry the offense. And with consistent receiving options like Evan Engram, Golden Tate, and Sterling Shepard to catch the short to intermediate routes, Lock would be set. The only question is, how much longer will the Giants be content to let Eli Manning lead this offense? If the Giants drafted Lock I think he’d have the opportunity to start before the end of the season considering Manning is in the last year of his contract. Cincinnati finally fired coach Marvin Lewis after years of mediocre finishes in the AFC North. And although I believe Andy Dalton has been underrated in the past, it feels like its time for the Bengals to move on and start a new era. The Bengals could have a dynamic running game with Joe Mixon showing the ability to be a versatile threat out of the backfield. And with A.J. Green aging, I think its time for them to try something new. Although I think Miami and New York would be better options for Lock, he could breathe some life into a Bengals offense that has struggled to get over the hump in recent years. And with new Coach Zach Taylor’s connections to the Rams offensive scheme, it could be a good fit for Lock’ arm talent. Drew Lock is going to be a cheap acquisition no matter where he lands because he will likely be a back up to start the season. He is definitely overshadowed by the hype train that is Kyler Murray and isn’t getting as much attention as maybe he should be. But I’m buying in on this guy as a future NFL starter that will be able to support multiple offensive weapons. In his famous 2017 season, Lock had three weapons with over 8 receiving touchdowns and three wide receivers with over 700 yards. Although he favored J’Mon Moore, he spread the ball around and heavily targetted his tight end in the end zone. Where ever he gets drafted I’ll be looking to acquire the tight end and number one receiver option. When it comes to fantasy quarterback production though, I don’t see him being a top end elite option. He will likely be a low-end quarterback one throughout his career with some potential for game-winning weeks. But overall, I think he’s worth owning on a dynasty roster looking for some consistent quarterback play going forward. If if you have anything to add to the conversation reach out to us on social media and give us your take!